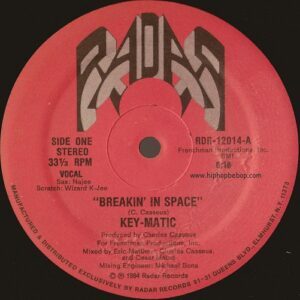 Following on from R&B/disco hits such as Toney Lee’s “Reach Up”, Status IV’s “You Ain’t Really Down” and Richie Scotti’s “The Break”, this is the debut release from Key-Matic and was a huge electro/hip hop crossover. 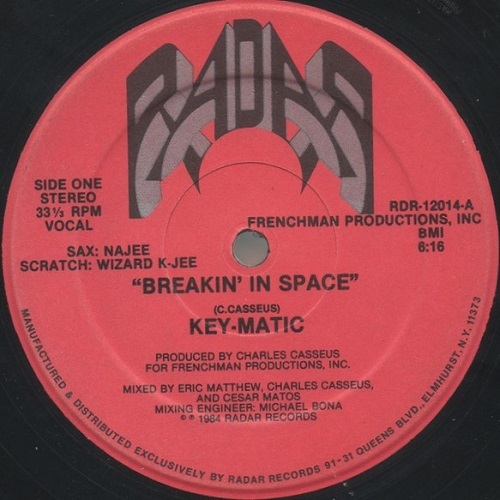 It featured vocals from Charles Casseus and early appearances from saxophonist Najee and Bomb Squad member, Keith Shocklee aka Wizard K-Jee. There are a few label variations as pictured below. 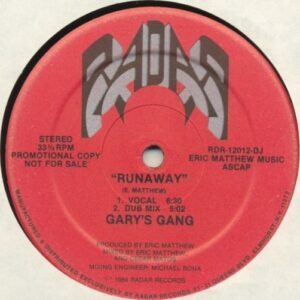 The label first issued a promo only release which had different catalogue numbers on each side and included “Runaway” by Gary’s Gang before releasing both tracks as singles on their own. 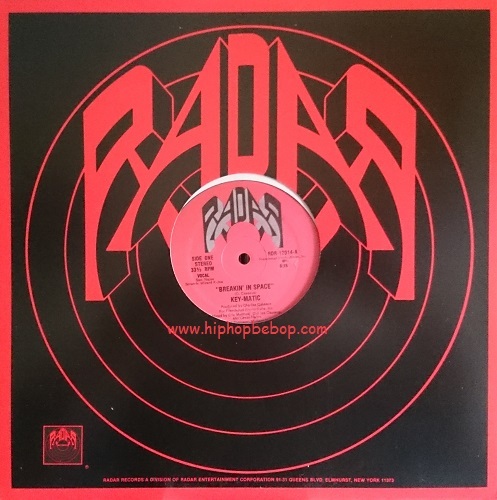 As you can see from the images, one label has a larger and bolder font than the other and also has the text starting each side of the label name whereas the other has all text underneath the label. The label and runout groove etchings don’t determine which side is which so I’ve based it on the catalogue numbers. Variation with text starting under the label name. 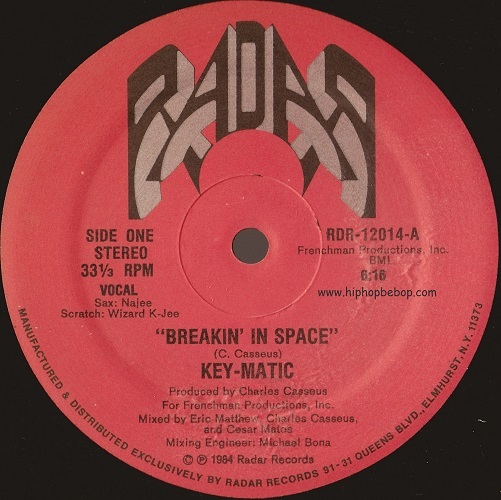 Variation with bolder font and text starting each side of the label name. Promo release with Gary’s Gang on the A side.